Remember the interior courtyard? What a luxury they used to be, and how nostalgic the memory of them still is! Having a piece of the sky and share of the rain inside your home was a luxury, indeed. Today, of course, the sprawling courtyard flanked by rooms is a thing of the past. Or is it? Surprise. 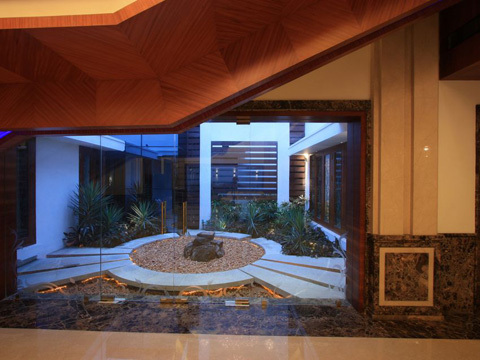 According to Dameem Ansari, principal architect, Ansari Associates Architects and Interior Designers, city-based customers are now asking for interior courtyards. “We have been extensively using this concept in almost all the houses we design even if it is just a renovation of an existing house. 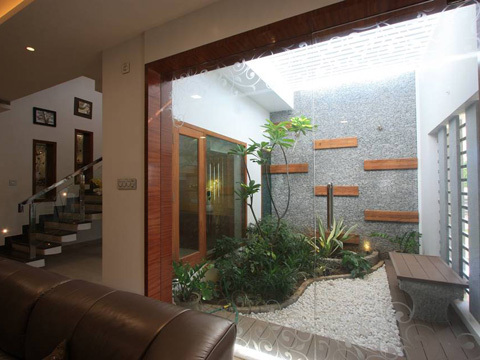 Even if your house is designed in a very tight plot, dont worry, we will find a place for the courtyard!”, says Ansari. 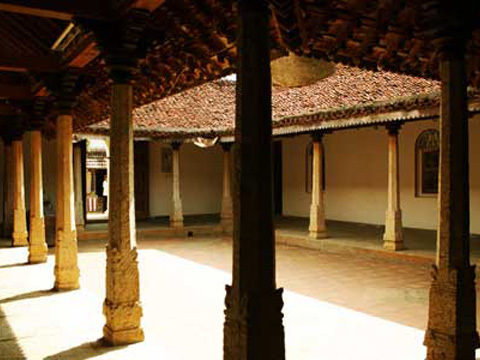 Courtyards were the integral part of a typical Tamilian house in olden days. They were used to bring in the natural light and ventilation in a typical continuous wall to wall construction of our old towns. "Interior courtyards are fast gaining popularity as one of the popular ‘green options,’ allowing you to get as much natural light as possible inside the house. 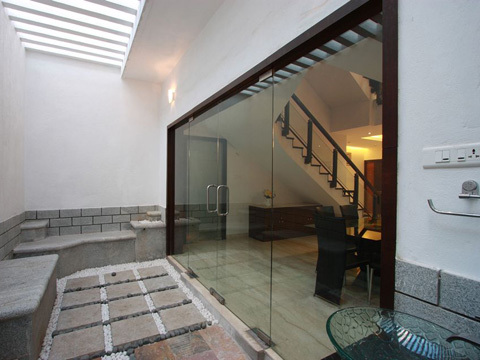 An interior courtyard is an enchanting combination of openness aswell as privacy," he said. There are two popular types of interior courtyards — one that is at the centre of the house and another an 'inner garden' in the side setback of the house. "The interior courtyard comes in the middle and is surrounded by the rooms and passages which open towards it. The inner garden is an extension of the house. It comes in the sides of the house with the other side covered by an exterior wall, mostly the compound wall itself. Inner garden will be easily accessible from the rooms," he said. 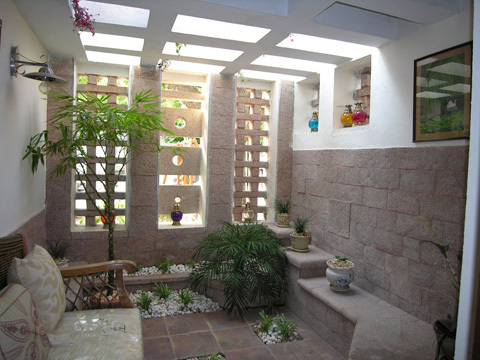 Typically, interior courtyards can be accommodated in houses sized 3,500 sq ft and above. An 8x8 ft or 10x10ft space can be set apart for the courtyard. The inner gardens can be done in very small house of even 1500 sq ft, it can span the entire length of one room or two rooms and typically have a minimum width of three feet. "You can have an interior courtyard in premium apartments which are on the top floor of the building. 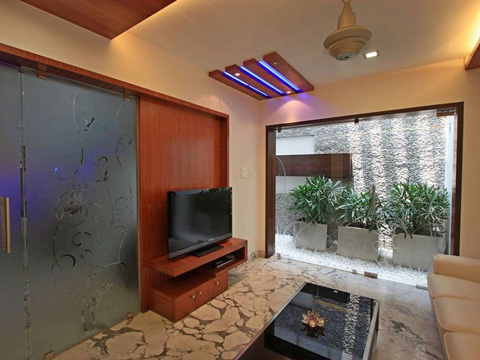 Duplex flats on the top floor also can enjoy the luxury of a common courtyard," said Ansari. 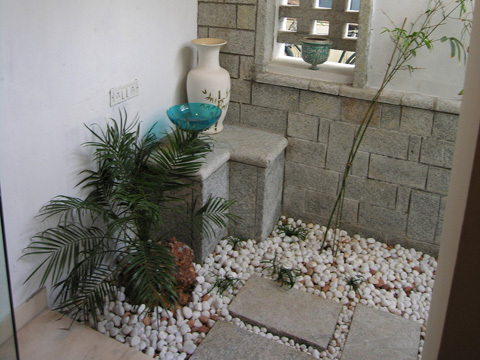 One can either go for a dry landscaping with pebbles and stones or design the courtyard as a garden. Plants which grow in shade are largely preferred for the garden. According to Ansari, some of the owners wish to cover the top of the courtyard with polycarbonate sheets so as to let the light in while restricting the rain. “While it is very interseting to watch the rain falling in the courtyard of your house, the main challenge in open to sky courtyard is managing the water and moisture. Mosquito menace is a problem, too. We can attend to it by providing gtlass covers and SS or Fibre glass meshes. Proper drainage facility is a must for an open courtyard," he said. Those with a traditional bend of mind would like to have a stone structure for the basil plant in the middle of the courtyard and mural paintings on the side walls. 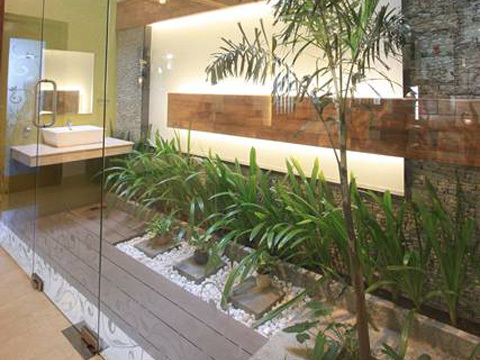 Landscaping can cost Rs one lakh to Rs three lakh and the polycarbonate sheets cost Rs 300 to Rs 400 per sq ft. While daily watering of plants has to be done by the owners themselves, there are specialised agencies that take up other regular maintenance work in the courtyards. By Sangeetha, Based on Interview of Mr.Dameem Ansari Published in Financial Chronicles.